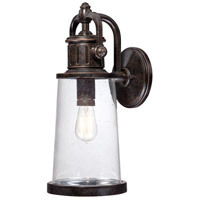 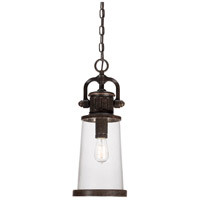 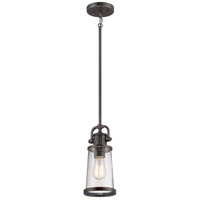 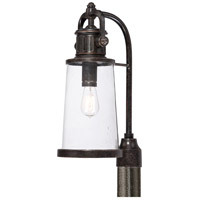 This fixture gives the exterior of your home both beauty and an industrial sense of design. 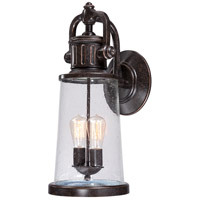 It features a Victorian Edison-style bulb for a historic look and is enhanced by the clear seedy glass. 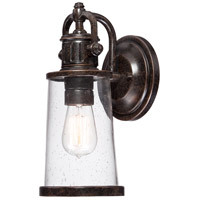 The Imperial Bronze finish completes the look.